We'd not been to this hut before. Although nominally in Little Langdale, it was on the other side of an uncrossable ford and so had to be approached via a narrow lane . This was quite easy if you found the right lane, unfortunately the instructions were a little vague and several people ended up on the wrong track. The prize for perseverance goes to Debra and Simon, who nearly made it as far as Hodge Close – who needs a Land Rover when you've got an Audi? Saturday was warm and sunny – Spring was here – so Carmen and I walked from the hut up to Wrynose Pass, and from there to Black Crag. Here we spent a few hours cragging on superb rough rock. The grades were a bit random, but the climbing excellent. We then wandered down to the nearby crag of Long Scar for more of the same – especially the random grades, with Katie's Dilemma (Severe) proving a fine VS 4b. That evening we celebrated Annie's 30th birthday, but despite this we were up bright(ish) and early(ish) the next morning. Sunday started cold, cloudy and windy – Spring had gone away again. We drove round to Langdale where the National Trust extorted £6 from us to use their car park, and headed for White Ghyll. The only other pair there were just starting on Slip Knot (as classic VS), so we went further up and decided on the the snappily named Slabs Route 1, a 4 pitch Severe. This turned out to be an excellent route, despite the best attempts of the wind to remove us from the rock, and despite having to share the final belay with a recently deceased sheep. After this we headed down to Upper Scout Crag which was sheltered from the strengthening wind. Surprisingly, we were the only people there (it's only 10 minutes from the road and has loads of easy climbs so is usually busy). We took advantage of this and climbed Route 1, the classic VDiff of the crag, with some superb exposure on the 2nd pitch. A nice comfortable hut, unfortunately a bit far away from the main areas, and a successful start to the rock climbing season. Pete & I met Tony in Grindleford & decided to visit Stoney Middleton over a coffee, it was a fine sunny morning & the rock was as dry as a bone although later in the day it clouded over & got much colder. As usual there was hardly anybody about apart from a team on Wee Doris & Our Father both classy E4's. Great to meet Tony & put a face to a name. Four of us visited Rjukan for a week 7th to 14th March, Rob, Keith, Peri & Guido. On arrival we found that despite excellent ice conditions there had been heavy snowfall across southern Norway this made significant restrictions to what we were able to do during the week. Many big multipitch climbs were out as they were blanketed in deep snow with access was difficult at best & in some cases dangerous due to avalanche. This left us with the single pitch venues & areas that with reasonable access. List of icefalls climbed, many of these were wide falls climbed by several variations easier or harder than the official line marked in the guidebook. As always the grades are just guidelines some routes being easy & others much harder than stated. Hopefully I have not missed any. All in all a very enjoyable & productive week. Actually there wasn't any of either but it makes quite a good title. We started at 11.01 (pm of course), one of the first teams to go. 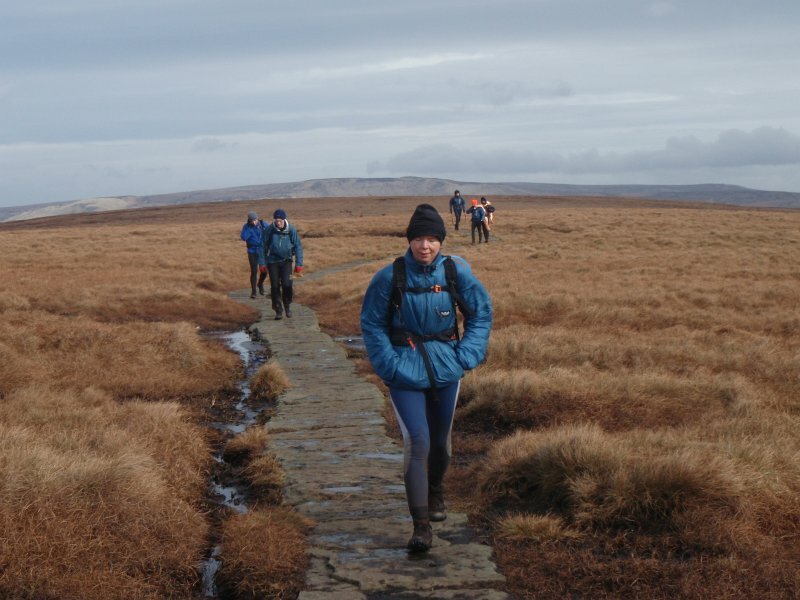 By the time we got to Moscar (11.5 miles), all other teams had overtaken us except for one. And they passed us at Cut Gate. 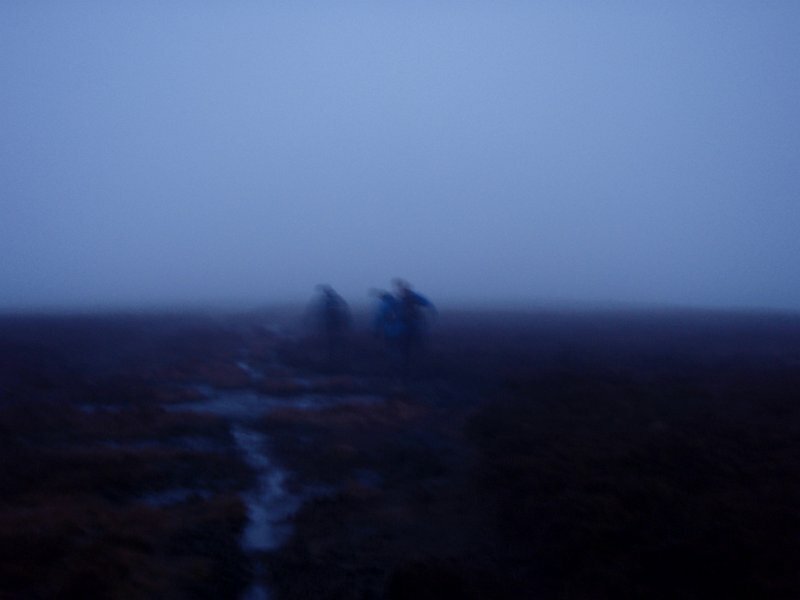 Overnight the weather was a mixture of persistent drizzle and hill fog. After dawn the skies cleared to give some hazy sunshine but with a cold wind. The bog monster was on holiday, it was all much drier than on our recce, and much to our surprise there were only two immersions – me up to my knees, and Carmen up to her thighs (serves her right for taking my advice on a good crossing point). It was all very, very tiring. A little over 2000m ascent and 43 miles. 49 teams started. 43 finished. We were 42nd, in something like 15 hours 50 minutes (a mere 7 hours behind the winners). But that wasn't the point. We finished, which was our only aim. Despite no training, and a little half hearted reconnaissance, we got to the end. A sterling effort by all. Will, who had never done anything remotely like this before (nor will again if he's got any sense), and did half the course with blisters on 2 toes which were as big as the toes themselves. Alan, who has done stuff like this before, but still wanted to take part – more fool he. And Carmen, who faced with yet another silly idea, just couldn't say no. And a special mention to Will's parents for kindly chauffeuring us home afterwards. …when we can stay at home and eat pizza instead. The omens were not good as we drove in the M1 drizzle & then more A625 drizzle as we climbed up the hill out of Sheffield. Six of us sat glumly in the cafe, Jim was accepting calls from late starters & advising it looked like the climbing wall. Instead of another brew we drive round to the Outside shop browsed then make the decision to call in at Lawencefield on the way to the Foundry. At Lawrencefield we meet Matt & Steve from the Leeds Club they are starting Three Tree Climb as it looks slightly drier than the rest of the crag. We quickly team up Jim/Kirk, Peri/Ewan & Tuze/Guido, Jim jumps on Pulpet Groove Vdiff another less dry route. Across to Gingerbread slab Snail Crack Vdiff is free, its very wet, greasy & difficlt, Team Peri/Ewan join us & climb the route next to us Nailsbane Vdiff. It does not take long before we exhaust the routes doable in these conditions & decide to move onto Horseshoe Quarry. Team Tuze/Guido arrive first and decide to pitch up at the end wall an area neither of us had climbed at. Team Jim/kirk & Peri/Ewan turn up minutes later & are not happy with we the venue so they decide to go off to sample the delights of Stoney Middleton. Within minutes of the others leaving, Howling Baboon turns up & so we are now Team Tuze/Guido/Baboon we all lead a great route called Excavation f5,its a very sustained, delicate wall at bottom end Hvs in uk terms. Moving onto the main wall we do Schools out another class route 6a+ in some books 6b in others, this equates to a good E1 5b in english terms. Its getting late now, Tuze is going to the Metallica concert in Sheffield & needs to meet up with friends, so we go down to Stoney to see the others. As team guido/baboon arrive at the crag Elvis is entertaining the crowds. With a great performance from Elvis, warm dry rock & quality climbing everything was right in the world – so right that we adjourned to the Moon to review the day. Team Jim/Kirk-Pulpit Route Vdiff, 3 tree route Hs, Parachute Vs, Gabriel Vs. Team Peri/Ewan-Snail Crack Vdiff, Nailsbane Vdiff, Parachute Vs, Gabriel Vs. Team Tuze/Guido-Snail Crack Vdiff,Pulpit Route Vdiff, 3 tree route Hs. Team Tuze/Guido/Baboon-Ecavation Hvs, Schools out E1. 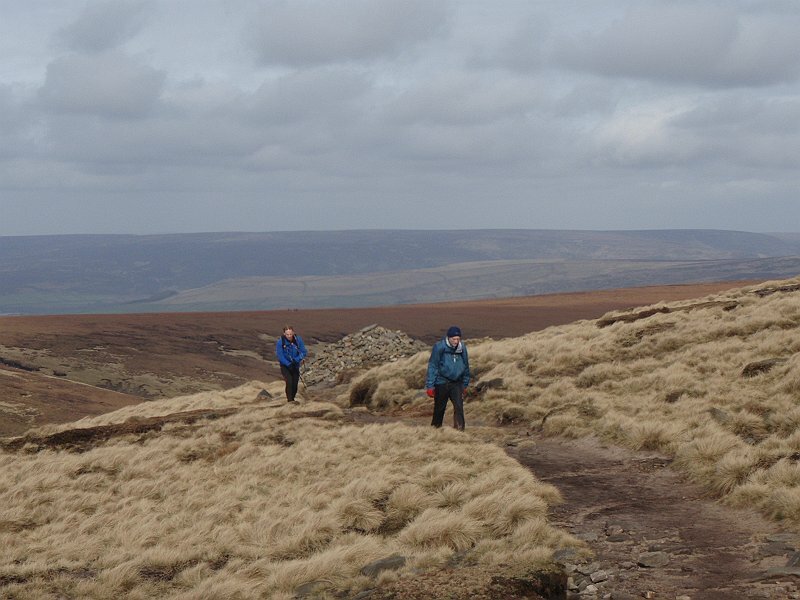 You are currently browsing the York Alpine Club Blog blog archives for March, 2009.